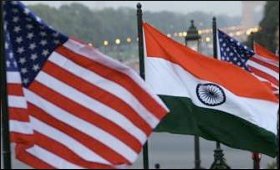 The Indo-US Commercial Dialogue and the Indo-US CEO Forum will be held on February 14 in New Delhi, an official release said on Tuesday. The Indian side will be headed by Commerce & Industry and Civil Aviation Minister, Suresh Prabhu, and the US side will be led by Wilbur Ross, US Commerce Secretary. The two Ministers will co-chair the India-US Commercial Dialogue. Representatives of the US and Indian Governments will share outcomes of the 2018 commercial dialogue work plan, including the three work streams: standards, business climate and investment and travel and tourism. Discussions will be held on the 2019 commercial dialogue priorities, identification of new areas of cooperation based on the new CEO Forum recommendations. The co-chairs for the US- India CEO Forum are Mr. Natarajan Chandrasekaran, Chairman of Tata Sons and Mr. James Taiclet, Chairman, President and CEO of American Tower Corporation. During the India-US CEO forum, working groups will give presentations and recommendations related to their sector. This Forum was reconstituted by the Trump and Modi Administrations.The Forum is an effective platform to highlight key market access issues that impact the ease of doing business and to identify areas for closer collaboration. Annual bilateral trade in goods and services between the United States and India doubled over the last decade, from USD 58 billion in 2007 to USD126 in 2017. Both countries are resolved to remain engaged and take measures for further enhancement of bilateral trade. Bilateral trade in 2018 continued in spite of uncertain global economic conditions. Bilateral investment flows have also grown appreciably over recent years.